In darkness, a great treasure waits…and evil stirs. Sight-Bringer, a mythical longsword crafted by a long-dead race was once the kingdom’s greatest relic. Nicknamed Blood Fiends’ Bane for its arcane potency against the undead, the holy sword has been lost for generations. 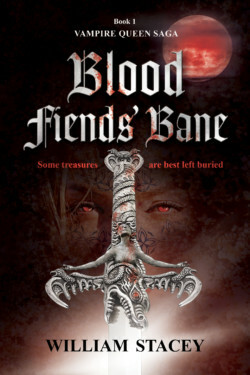 Legends still tell of how a great hero used the sword to strike down the terrifying Vampire Queen Serina Greywynne, ending her rebellion of blood — and shattering the perfect blade in the resulting cataclysm. But one young soldier is about to discover the legends are built on lies.